Brown (concussion) was waived from injured reserve Tuesday. 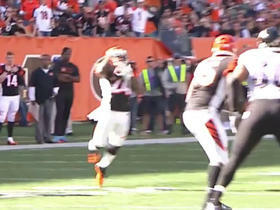 Analysis: Brown was placed on injured reserve prior to Week 1. The 27-year-old receiver last played in a regular-season game for the Ravens in 2015. 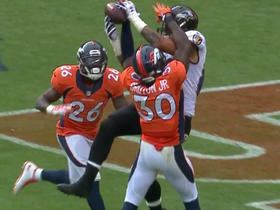 The Bears placed Brown (concussion) on injured reserve Saturday, Brad Biggs of the Chicago Tribune reports. Analysis: Brown suffered this concussion during the team's fourth preseason game. He was expected to be a depth wideout after hauling in just 14 passes for 112 yards in 2017. Brown was evaluated for a concussion during Saturday's preseason game against the Chiefs, Brad Biggs of the Chicago Tribune reports. Analysis: With approximately a week remaining before roster cuts, a confirmed concussion could play a factor in the team's decision on his roster spot. More information regarding his status moving forward should surface following tests. 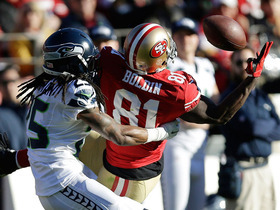 Brown signed a contract with the Bears on Thursday, Patrick Finley of The Chicago Sun Times reports. Analysis: Brown didn't play in 2017 after being waived by Denver before the start of the regular season. He last saw regular season action while with the Ravens in 2015, recording 112 yards on 14 catches in 10 games. 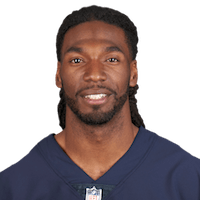 He'll be looking to get a spot near the bottom of the Bears' receiver depth chart in 2018. 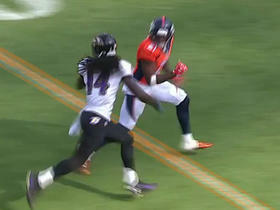 Ravens quarterback Joe Flacco finds wide receiver Marlon Brown for 22 yards. Baltimore Ravens quarterback Joe Flacco is intercepted by Cincinnati Bengals cornerback Adam Jones. 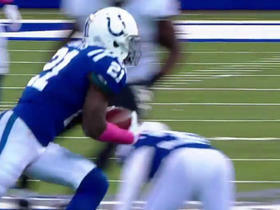 Baltimore Ravens quarterback Joe Flacco has his pass intercepted by Indianapolis Colts cornerback Vontae Davis. 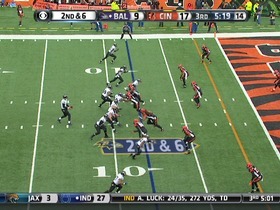 (:28) (Shotgun) J.Flacco pass short right to M.Brown to CIN 5 for 2 yards (C.Crocker, D.Kirkpatrick). 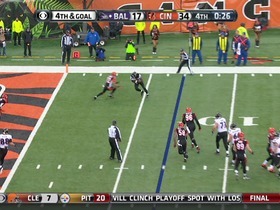 (5:19) (Shotgun) J.Flacco pass short left to M.Brown for 8 yards, TOUCHDOWN. 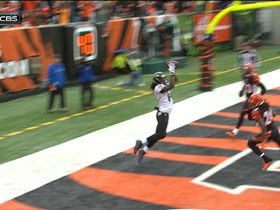 Baltimore Ravens quarterback Joe Flacco throws an 8-yard TD pass to wide receiver Marlon Brown and running back Ray Rice converts the 2-point attempt to tie the game against the Cincinnati Bengals in Week 17. 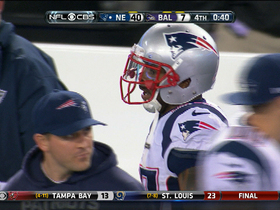 Baltimore Ravens quarterback Tyrod Taylor throws a pick six to New England Patriots defensive back Tavon Wilson in Week 16. 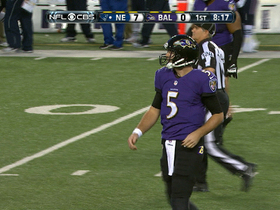 Baltimore Ravens quarterback Joe Flacco throws an interception to New England Patriots cornerback Logan Ryan in Week 16.